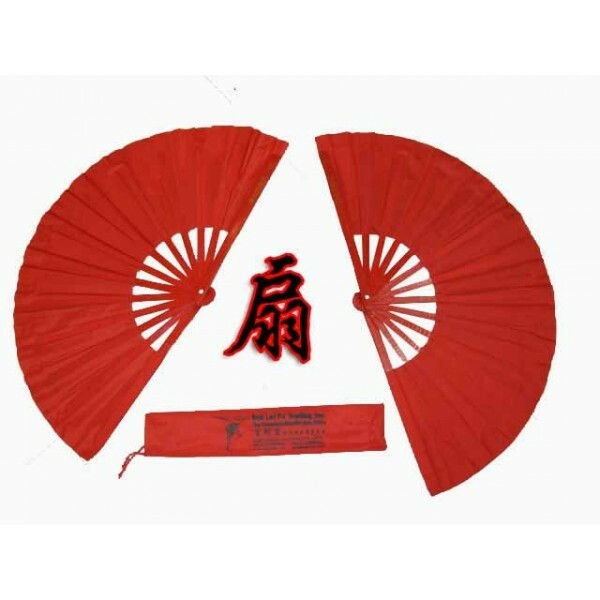 Bamboo Kung Fu/Dancing fans Red(pair) - Bok Lei Po Trading Inc. These kung fu fans are made of durable, high quality, pained bamboo. They are very easy and smooth to open and close. They made a very loud sound when you open them. The leanth is 14". wild open is 24". A nylon carrying case comes with it. Sold by pair(one left hand and one right hand).